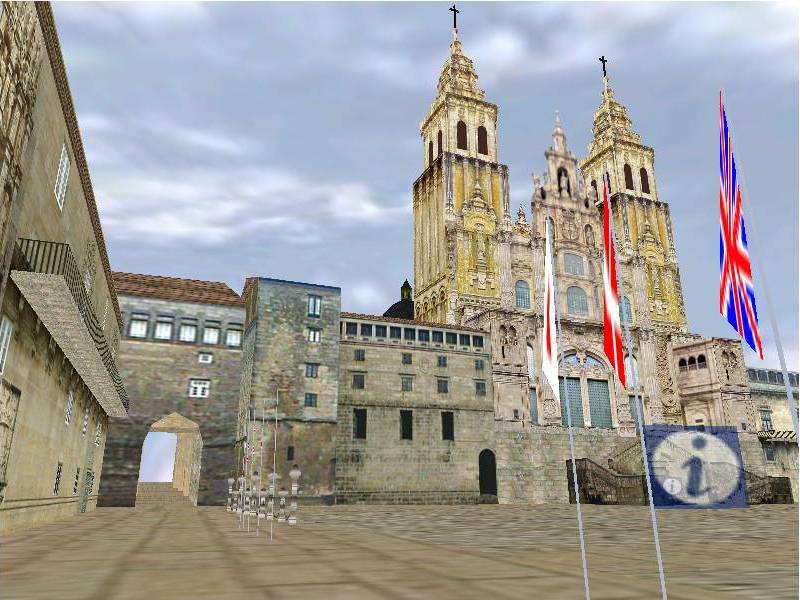 From May 1998 – August 1999, I worked as a project manager with Georgia Tech’s Virtual Environments Group and the Technological Research Institute of the University of Santiago de Compostela in developing the hardware and software for the Santiago 2000 project. 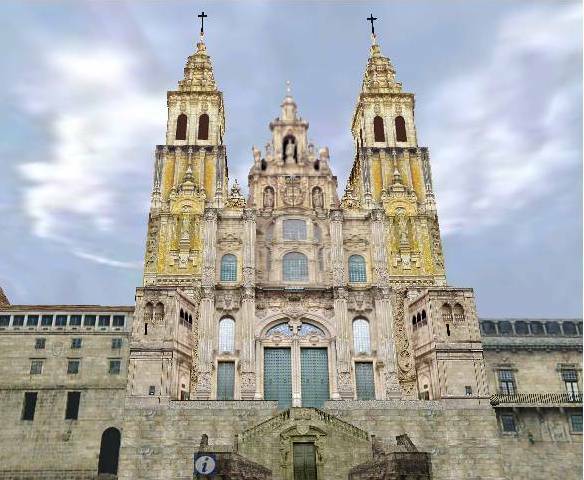 Santiago de Compostela (Spain) has since the early middle-ages been one of the first, and most important pilgrimage sites for the Christian world. It is said to house the remains of the Apostle Saint James, brought from Palestine after his death in 42 A.D. Since 1120 A.D., Santiago has enjoyed special privilege, first granted by Pope Calixto II in a Papal Bull (Registerna). On the years where the day of Saint James (July 25th) falls on a Sunday, those who visit the Cathedral will be granted the same graces as those attained in Rome. The millenium´s final Xacobean year occurred in 1999. 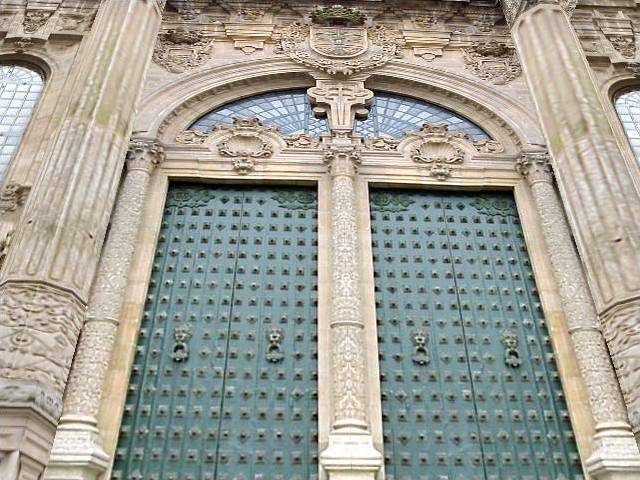 Santiago de Compostela had an additional reason to celebrate that year, as it had been chosen to be one of nine cultural capitals of the European Union for the year 2000. 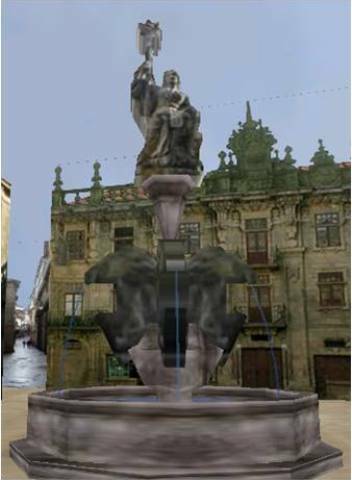 To celebrate these two events, along with the general euphoria of the new millennium, the Santiago 2000 project produced a virtual environment that recreates the Plaza del Obradoiro in Santiago in addition to several other areas surrounding this main plaza. 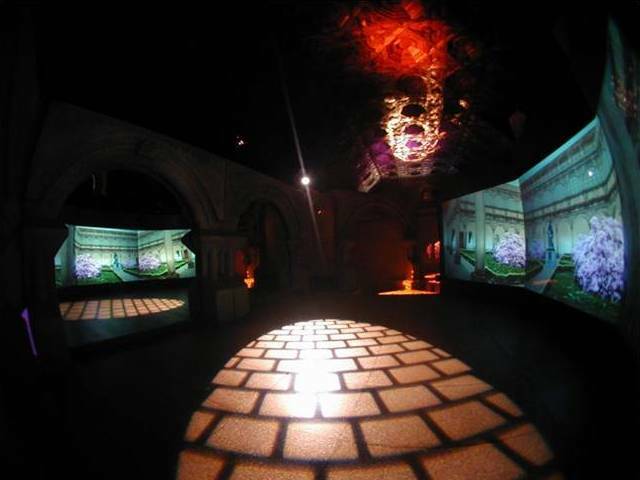 The environment included detailed visual models of the squares. Furthermore, visitors could hear the church bells, bagpipes, conversations, and singing troubadours as they strolled through the city. 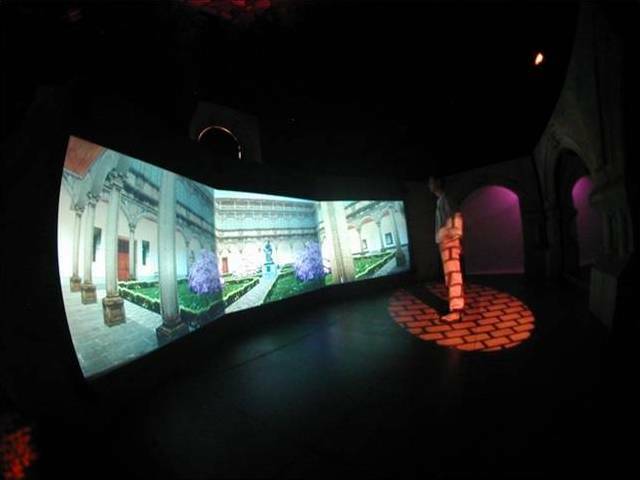 Using the NAVE immersive display, Santiago 2000 demonstrated that a PC-based system could support real-time, high quality, large-screen, stereoscopic imagery, and surround audio.